Welcome to Magical Goldens. Home of some of the finest and most adorable pups there is! We raise AKC registered English Cream Golden Retrievers and Standard Goldendoodles. We take pride in providing you with gorgeous, show quality puppies with capabilities of becoming service dogs, therapy dogs, or simply lifelong companions. Our parents are health tested and all of our English Cream Golden Retrievers have impressive champion bloodlines. These sweet golden friends will most certainly add a touch of magic to your life and provide you with a loving, loyal, best friend that lasts a lifetime. 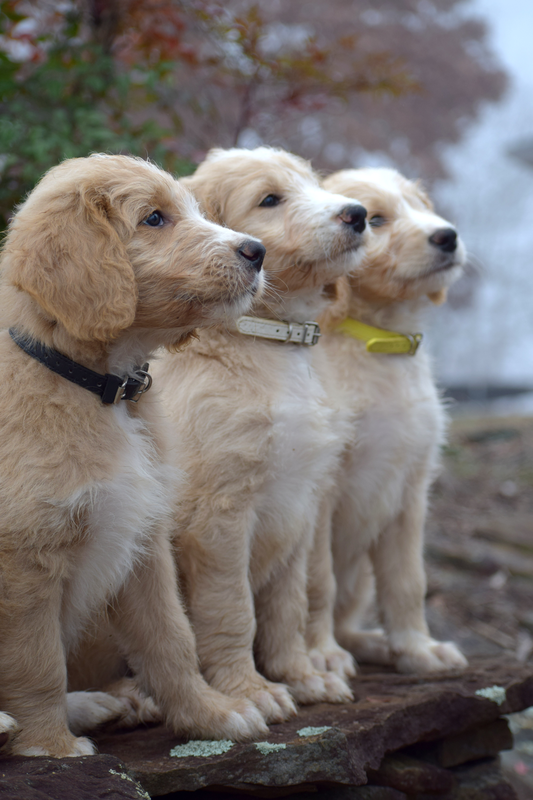 Our current litter of Goldendoodle puppies. We have one available puppy!